Wow. It has been a long time since I’ve done a Cute Outfit Ideas of the Week post hasn’t it? Long story short – I had surgery and I’m just now getting back in the groove. Well, kind of. Anyway, it feels so good to be back and I can’t wait to start bringing you all kinds of more cute outfit goodies! My inbox is full of fall/winter outfit ideas, new fashion trends and so much more so hold on. Today’s Cute Outfit Ideas is all about vests! I absolutely love vests. I went through a vest phase many, many years ago (in High School!) and then I didn’t see them around much. Lately I’ve been seeing them everywhere and they can sometimes add that final touch to an outfit that you needed. Not to mention keep you warm! I have a white bubble vest that I adore. I put it on and I feel like a little snow bunny. Or is it snow kitten? Whatever it is, I just feel cute. Enjoy these outfit ideas featuring all kinds of different styles of vests. 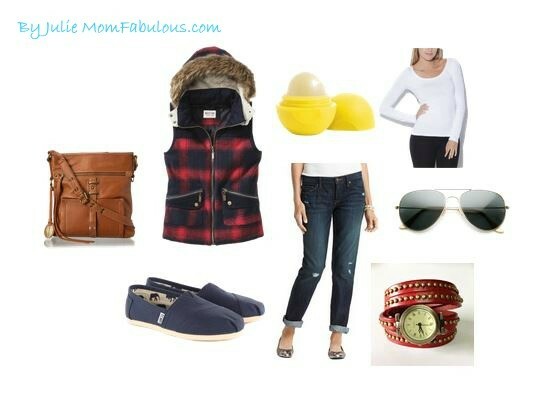 Here are a few cute outfit ideas from Pinterest featuring vests. Previous articleHelp Create the Ultimate Holiday Wine Shopping List – Ends in 2 Days!